The Banana cone adds a fun element to your health and safety programme and allows your cones to actually be seen. 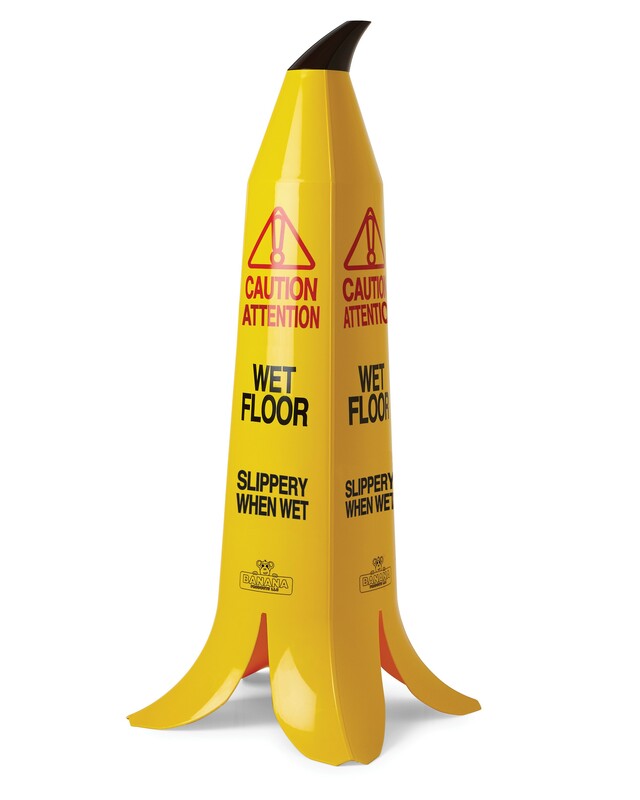 The unique and modern design attracts to the eye and draws attention, unlike standard caution cones that can simply be ignored or blend into the background. 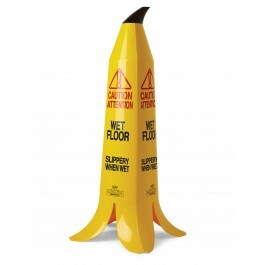 Slipping and falling accidents cost businesses millions of pounds a year in compensation, using a 90cm Banana Caution Cone provides warning of temporary hazardous areas, providing valuable safety information and marking of potential danger to help prevent slips, trips and falls. The cones are made from rigid, high visibility plastic and are lightweight, weatherproof, highly durable and are easy to carry and transport. "Caution Wet Floor" printed on sign with slipping man image. Full range of caution signs and cones available from stock.